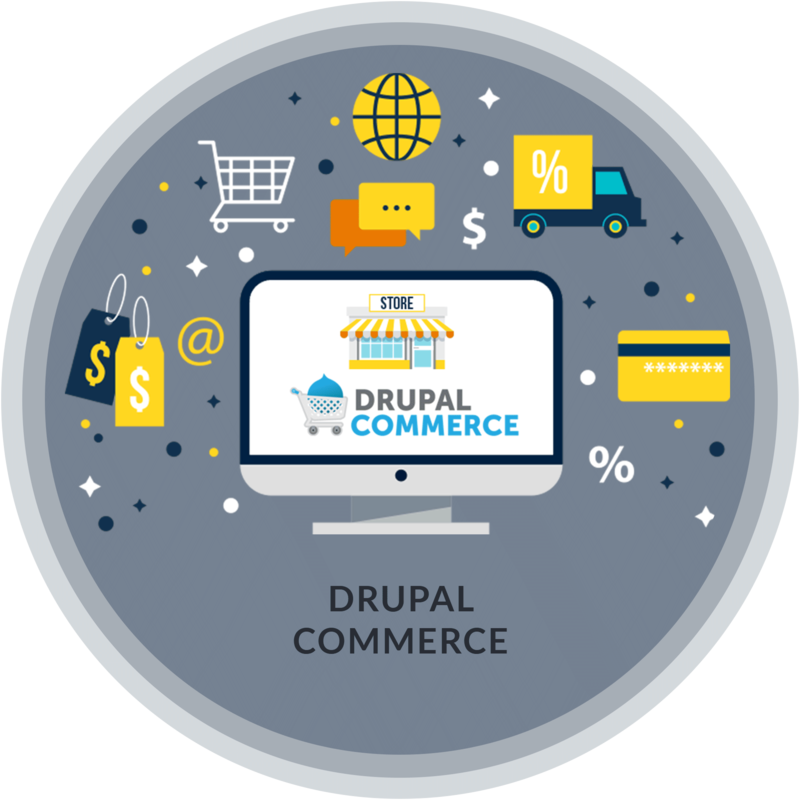 Drupal Commerce is open source ecommerce software that expands content management system. Drupal Commerce presents products for purchase, walks customers through the checkout process, keeps track of invoices, receipts, orders and payments, facilitates shipping, payment and performs other functions needed by online merchants. It creates engaging web experiences that bring e-retailers more traffic to drive more results. Online retailers have a powerful platform to integrate a rich commerce experience. Drupal Commerce is content driven, it connects content and products seamlessly to drive online sales and influence offline sales through a rich user experience. It is highly flexible ecommerce Solution and ideal for all types of physical and non-physical items that require unique payment models (i.e. recurring, licensing, and subscription).Drupal commerce facilitates lower costs, higher quality, greater innovation, faster speed and excellent security. Non-technical personnel can easily execute changes and test new ideas making it the perfect fit for marketing-driven commerce. The changing needs of websites of any size can be meet through integration with third-party systems, feature, and functionality enhancements. It is easy to set up a shopping cart, checkout pages, and product pages as well as to calculate balances, taxes, discounts. Its defaulting caching features enables to load pages faster. Ideal for community platform sites that require complex data organization with multiple users. Advanced menu management, polls management, graphics modification tool and user management. Supports multiple site stakeholders (admin, editors, logged in users requiring customized content private groups etc. It uses high standards of technology. Drupal can handle a lot of traffic with ease with a decent server infrastructure to run it. Our Drupal Commerce solution gives flexible, rich user experience for all your business needs.